HVDC (High Voltage Direct Current) technology is particularly suitable for the transmission of high-power energy over long distances. However, some technical/technological problems have to be addressed/managed when passing from HVAC to HVDC due among others to the fact that the electric field distribution in gas insulated systems (GIS) operating under DC stress is very different from AC conditions. This paper is aimed at the propagation of discharges over a surface of insulator and the development of an analytical flashover model in air at atmospheric pressure. The experimental results show that the critical conditions of flashover are over the half of creeping distance. Dimensionning of DC isulation is relatively complexe and need to take into account must more effects and parameters than in AC. This paper presents simulation methodology to applied for DC GIS and GIL. In the future, Medium Frequency Transformers (MFT with a frequency range 5 kHz to 100 kHz) will be major components in DC-DC converter applications, for both Medium Voltage Direct Current (MVDC) and High Voltage Direct Current (HVDC) networks. Importantly, the corresponding power losses should be accurately calculated in order to reach performance targets (very high efficiency). 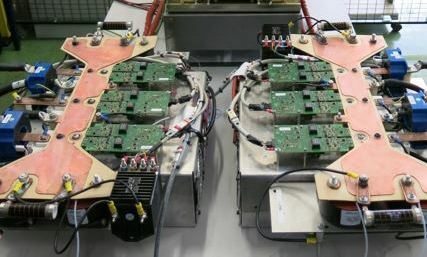 SuperGrid Institute has succeeded in the preliminary tests on their first DC-DC power converter in September 2015. The power converter nominal power is 100 kW with an input voltage of 1 kVdc and an output voltage of 500 Vdc. The converter topology is a Dual Active Bridge with silicon carbide transistors and a medium frequency transformer. 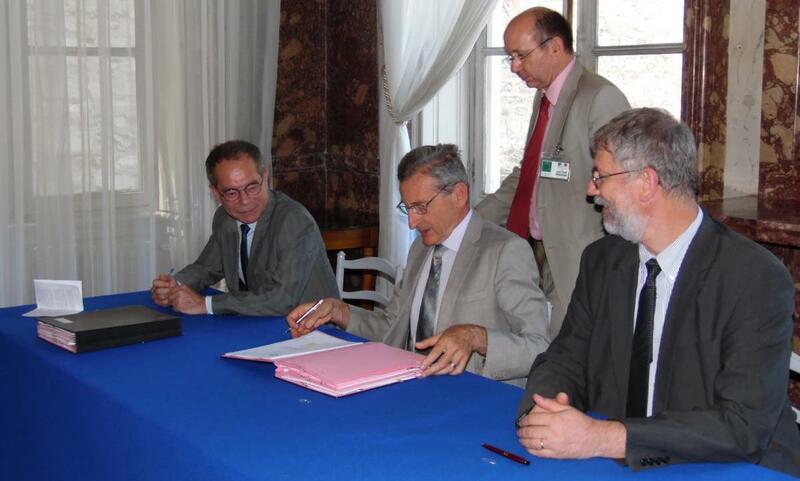 Michael Matlosz, President and CEO of The French National Research Agency (ANR) et Philippe Auriol, President of SuperGrid Institute SAS, signed the 6 of July 2015, in attendance of Thierry Francq, Assisting General Commissioner to the Investment, the agreement granting subsidy signed between the ANR and SuperGrid Institute.